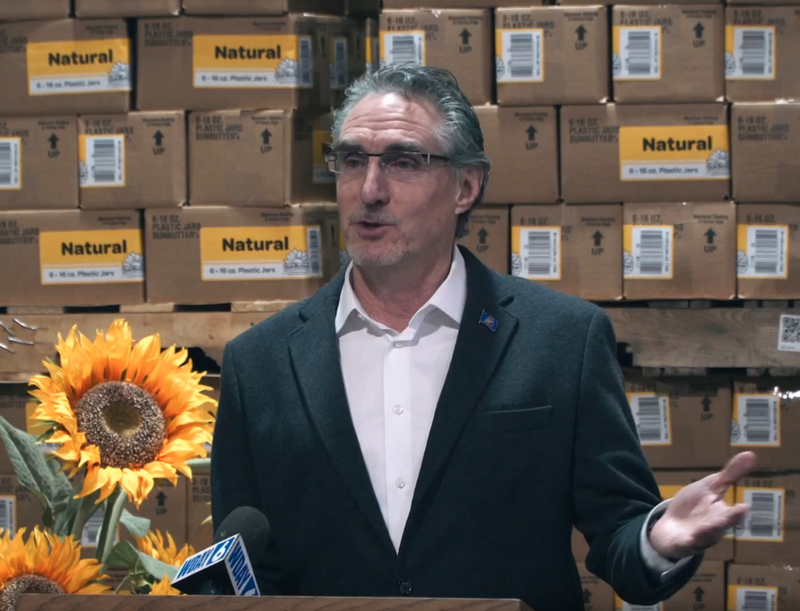 On November 13, SunButter joined North Dakota Governor Doug Burgum, Fargo Mayor Tim Mahoney, SunButter employees, Walmart representatives and local officials to celebrate its continuing commitment to manufacturing in Fargo, North Dakota. Additionally, the group celebrated Walmart’s American Jobs Initiative. SunButter was developed as a safe and delicious solution for families with peanut and tree nut allergies. As the pioneer of seed-to-jar sunflower butter, SunButter’s products are U.S. grown and produced in one continuous process from field to table that ensures fresh flavor and improved product consistency. SunButter is free of the top food allergens (including peanuts, tree nuts, soy, dairy, eggs, wheat, fish, and more), and is known for its delicious roasted sunflower seed taste and healthy nutrition benefits. SunButter has proudly manufactured its products in the United States since 2002 with a full product line of sunflower butter. In addition to growing its sunflower seeds in the U.S., the company sources most of its materials domestically.